As I invited my friend in, I apologized for the mess. It seemed as if I at least acknowledged the mess, then it wouldn't seem as bad. To my relief, she quickly dismissed my comment. Then, she proceeded to spend the next few hours graciously offering her help. While I lay in bed, she supervised a play date with my daughters. What did I do to deserve such a gift? I did nothing. My friend chose to put aside her own agenda for the morning to love me unconditionally. She is the body of Christ. Countless times over the past few months, I've received encouraging messages from two other friends of mine. Text messages with Scripture and reminders of their faithful prayers have encouraged me on hard days. 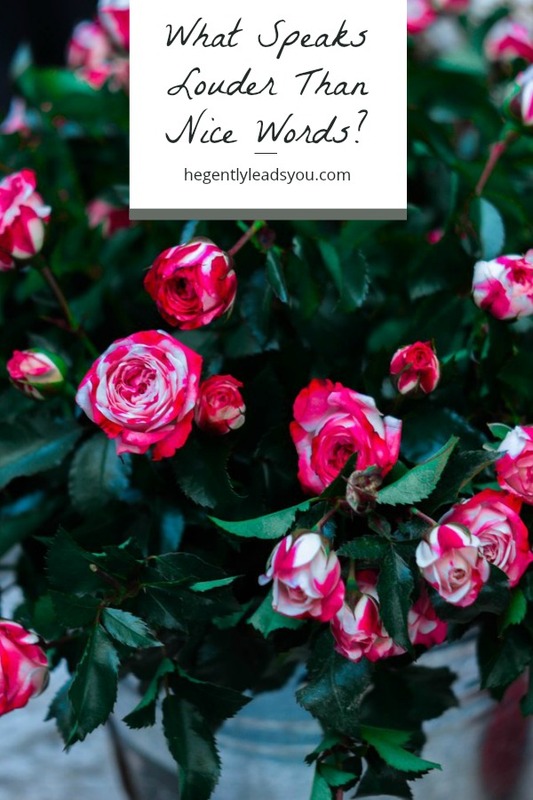 Words of affirmation are my love language, so when I received words from them, I felt loved. My friends chose to be intentional by offering words of encouragement. They are the body of Christ. A bouquet of flowers arrived at my doorstep last Saturday. “Why is someone sending me flowers? My birthday is a few weeks away. Did someone mix up the dates?” I thought. It turns out the flowers were no mistake. They were sent to brighten up my day, to tell me I'm loved and prayed for. Knowing my dear sister was thinking of me during my hard days gave me the encouragement I longed for. She is the body of Christ. As believers, we are called to put others above ourselves, (Philippians 2:3). Can you honestly say you are doing this? I'll be the first to admit. I'm not. Yes, I'm going through a difficult time right now, but my struggles don't exempt me from living obediently. In Isaiah 53:3a we learn Christ was “. . . a man of sorrows and familiar with suffering. . . ,” and yet he put others above himself— to the point of death. Praise God for his sacrifice! This week we will be studying about the body of Christ. I hope you will join us for more than one day in this study! You will truly be blessed by the power of his Words and presence! (This is what I pray for you!) Please click here to download the reading guide. Let's begin by reading Monday's verse. 1) What are two commands these verses give us? 3) Is it possible to do something nice for someone out of our own selfish ambition?